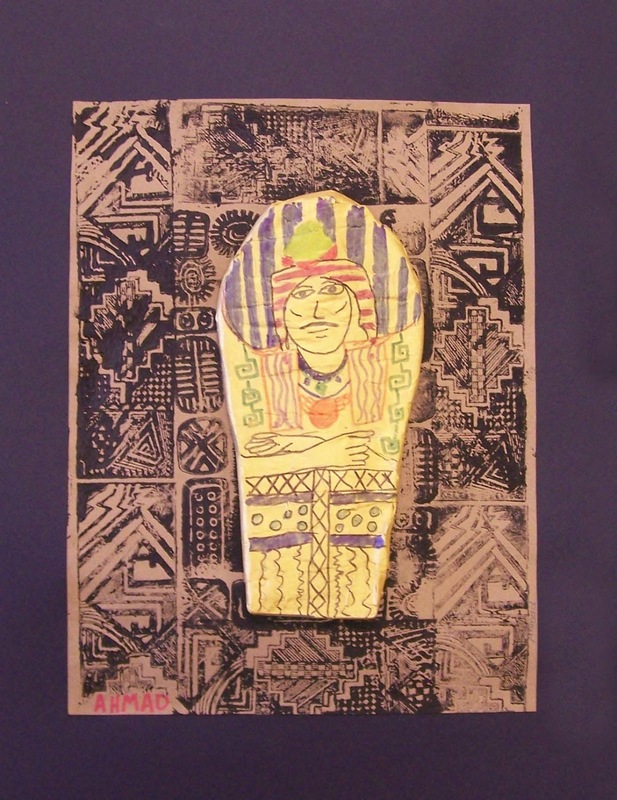 These Egyptian sarcophagus's were created in collaboration with my grade 6 students unit on Egypt. 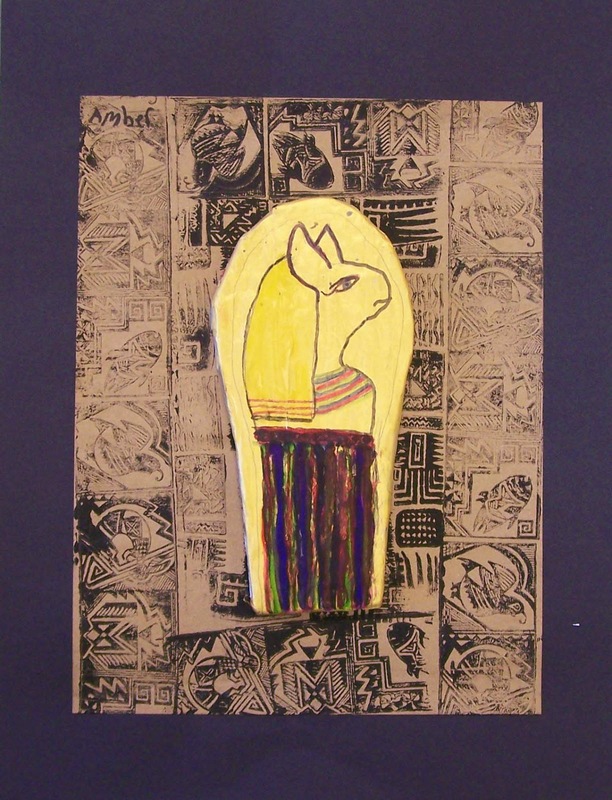 The students began by covering a cardboard form with paper maché which was then painted gold. The next step was to paint the image of an Egyptian God on the sarcophagus. The background was created with a textured roller. Labels: Egyptian sarcophagus art lesson for children. Papier Mache.